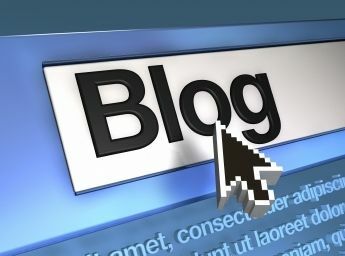 This is the primary blogging spot for the Colorado Springs Entrepreneurs Group. All news, events, and announcements will be posted here, as well as various CSE Group programs and small business outreach initiatives. CSE Group March 2010 Meetup and "iMash"
Colorado Springs Entrepreneurs Group March 2010 Meetup and Innovation Mashup or "iMash"
Kevin was promoted to the position of Business Consultant at the "flagship" store of Apple Retail in the Denver area and was "Top Sales" and "Employee of Year for 2006" after less than a year in this position. Kevin basked in the adulation for a week, but then put his shoulder to the wheel once again to continually move onward and upward with this consummate attitude toward success as "Next". 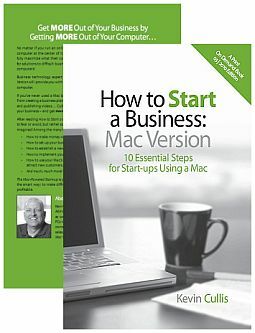 In 2008 Kevin started MacGetIT to help startups and entrepreneurs get the most out of their Mac for their business. Kevin's goal as the "Chief Business Geek" is always to maximize the customer's experience with their Mac computer and it's various solutions. -- Volunteer Pitches from Members who are seeking capital, seeking help, seeking customers, etc. -- No reservation needed. If you want to make a "QuickPitch" - Bring it On ! Mark is a partner in the law firm of Hanes& Schutz. Intellectual property law is his principal area of legal expertise. His practice includes all aspects of patent, trademark, and copyright matters. He has significant experience in the preparation and prosecution of copyright and trademark applications. He has successfully prepared and prosecuted numerous patent applications, with a particular emphasis and expertise in the fields of computer hardware and software, semiconductors, telecommunication, printing, integrated circuits, electrical devices, instrumentation, mechanical apparatus, apparel, and food science. Mark has a degree in electrical engineering and worked as an engineer before becoming an attorney. Mark will discuss options for protecting your ideas in the early stages of development. The focus of the discussion will be provisional patent applications, but will also include other topics such as trademarks, copyrights, inventor’s notebooks, and prototyping. Students in ENTP100, for their 2nd Business idea, partnered with a local company, (Combat Training Solutions) to go after a Military Training SBIR. They will be providing the CSE Group with an update on their simulation work with this local HUBZone-certified, Service-Disabled Veteran-Owned Small Business (SDVOSB) that provides Simulators and Battlefield Special Effects for live training and hands-on situational exercises. All are working with Tony Colon, CEO of Combat Training Solutions. Welcome to the first of four quarterly joint "InnovationMashUp Meetups" we are planning for 2010 that brings together UCCS Bachelor of Innovation Staff, Students, and advisors together with the local Colorado Springs Entrepreneurs Group. We will be announcing our "InnovationMashup" activities in the next week so stay tuned ! 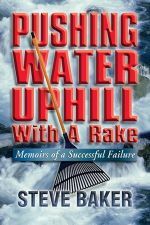 Steve Baker is a founder of successful businesses, a corporate executive and business advisor with proven leadership in every phase of business cycle from startup to exit. He directs strategic marketing and business development and has taken companies from startup to millions of dollars in revenues. He is a Senior Fellow of the DaVinci Institute, a futurist think tank, and host of the Startup Junkie Underground. As a public speaker, Steve shares his contagious enthusiasm to educate and inspire startup businesses and university students. Steve is passionate about business and life, and lives in Colorado where he is an avid poor golfer. This is Mark's second presentation to the CSE Group and he will update us on his progress over the last year and resent his Company Acuity Dynamics and his enterprise software services concept to the CSE Group seeking seed investment, software development support, strategic partnerships, and alliances. Mark will also introduce Daniel R. Cronin (The Chief Marketing and Sales Officer at Acuity Dynamics) to the CSE Group who will be on hand to answer questions about Acuity Dynamics, its products and go to market strategy. For a more detailed overview of the complete Acuity Dynmaics team go here. After nine years with Hewlett-Packard and ten additional years as a consultant and web–based project manager, Lori consults and executes on web projects and manages a popular online classroom. Concurrently, she coaches teams and executives to reach and sustain higher levels of success and to create repeatable, high-performance behavior patterns. Ever wonder why that sale never happened even after giving your very best presentation? Or why you can't seem to get off the ground with a potential customer? Maybe you could benefit from a 'relationship tune-up' to bring to light the obstacles that are getting in the way of your healthy business relationships. When everything else seems to be in place, look inside to see what mysteries are still holding you back. ----- Program Update "Velocity Innovation Partners"
9. Introduction to our March Meetup Surprise ! -- We are going to be Publically Launching a Book Live at the CSE Group meeting with a special guest speaker you will meet. Opening-up our 2010 season we have a great evening planned for the CSE Group Meeting... (See agenda below). "Innovation Contests as Innovative Showcases" - Karl will talk about the development of DaVinci Quest's innovation contests program. They have taken a proven model for innovation and incorporating it with the power of crowdsourcing and developed a unique competitive contest opportunity. DaVinci Quest announced its first innovation contest planned to demonstrate technologies that can make a house smarter, safer and greener - The Green House Contest. Brian Smith is a student of innovation, especially as it relates to manufacturing techniques and processes. A mechanical engineer by trade, he's been working in the manufacturing sector for 10 years. Among his areas of fascination is the concept of lean manufacturing, reduction of anything not contributing to value of the product throughout the manufacturing process. Brian sees a niche market where he takes an idea from a conceptual sketch through the stages of product development, implementing lean production ideas and methods throughout. "Getting in the Groovz" - Groovz Design works to introduce the innovators in this market to innovative manufacturing techniques, innovative manufacturing processes, even innovative manufacturing and business models. It is the strategy of Groovz Design to work along with innovators to put a novel idea through a proven system that results in the lean production of a finished product, integrating the distribution system and business methods of choice. --Seed Capital Fund - "Velocity Innovation Partners"
-- Group Discussion, What can we do better ? Our December 2009 Meetup and Holiday Mixer ! Well, we have reached the end of 2009, hopefully all in one piece after a somewhat "rocky" year both professionally and personally for many of us who may have experienced a slow down or drop-off in business, have a personal financial challenge facing them, or generally struggled in this economic "down-turn" we have all had to endure... Hopefully 2010 will bring an uptick in the general mood of the country and allow us all to begin to build our businesses up again. In our final end of year meetup this month, I would like to invite you all (as well as guests) to our December 2009 Meetup and Holiday Mixer where we can share some food and fun, and reflect back over the year's high's and low's, and starting laying plans for the new year by doing some serious "holiday networking" and meeting some new business contacts, and learning some new tips and techniques to help you business grow. -- Our Gettin' in the Mood Secion Moved to Holiday Mixer in Second Hour ! Our speaker this Wednesday evening is Chuck Kocher. Chuck heads up one of the most successful ActionCOACH franchises and firms in the world, is a Certified Executive and Master Coach. Chuck's clients span the globe and he has a very active local coaching firm. His clients have achieved massive results in the areas of Time/Team/Leadership/Profits/Growth. His clients have also achieved industry, local, regional and global awards and recognition. 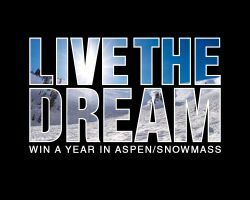 He has hosted a weekly radio business program for the past 6 years, "Talking Business.Taking Action" with a loyal following throughout Colorado. Chuck is a student of business success in the small mid-market. The topic for discussion this Wednesday will focus on how business owners and organizations can capitalize on the current economic conditions to be successful now and to emerge as significant winners. He will focus on how to build an extraordinary business in any economy and what the truly great businesses are doing right now as we speak to do just that. He will share insights from business thought leaders and companies who are both global leaders and local leaders. Formal Meeting Ends (7:30PM) - Holiday Mixer Begins ! -- Final Wrap at 9PM ! 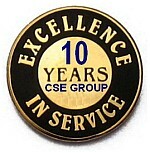 Special Discount for CSE Group ! Members of the CSE Group have a special "discount code" they can use when registering for the event to save $10.00 off the $29.00 registration fee. Just enter "CSE" as your code using the eventbrite link above. Come join in this very interactive and engaging seminar to learn new tools and tactics that one can use to launch a business into the digital age. This seminar will begin with a social conversation between some of the top social media experts from surrounding communities, sharing best and worst practices for social media from their experience. There will be a brief networking session, followed by a presentation on PR in a digital age. In this section attendants will learn tools and tactics to create a successful PR/marketing campaign through social networks. The last section will teach attendants how to be at the forefront of mobile marketing and how to begin an effective mobile campaign. There will also be many opportunities for audience Q&A with top social media, PR and mobile marketing professionals. Your participation and support from the CSE Group is welcomed and encouraged to help us make the Colorado Springs Conference a success ! Agenda for our November 2009 Meetup ! * 3 years of public accounting experience. • An exceptional educational background which includes a CPA designation, a BBA in Accounting and an MBA in Finance. Throughout his business career, Jeff has made many types of presentations (both technical, informational, and motivational) to many levels (senior management, peers, and staff.) In 1998 he joined Toastmasters International in order to take his speaking skills to the next level. Jeff has a passion for providing critical finance and accounting information and skills to small business owners and entrepreneurs to help them succeed in achieving their dreams. Overview: Many people start a business with little or no regard to the financial requirements of doing so. They ignore the actual investment required and the returns necessary to ensure they receive an acceptable return on that investment. This presentation is applicable to individuals who are planning to start a business and those that have already started one. It covers common pitfalls, issues that need to be considered, and ways to look at the success of a business from a financial perspective. Back at the East Library ! - Yeah ! Room to Spread Out ! I will be supporting Karl Dakin of Divinci Quest who is one of the founding partners of Velocity Innovation Partners and will be on one of the speakers on the morning panel . Velocity Innovation Partners is responding to this serious problem by creating a new $50 Million dollar Seed Capital Fund in Colorado that is designed as a series of integrated capital funds to support business from startup through growth and entrepreneurial education across multiple industries. We will be fully capitalizing each type of fund with $50 million through a direct public offering in the State of Colorado. This funding is sufficient to microfinance 200 businesses; seed fund 200 businesses; growth fund 30 businesses within the green building industry; and provide 30 year educational mortgages to 200 entrepreneurs. We are currently in the initial stages of raising our first $600K in start-up funding that will allow us to put the Direct to Public Offering in place beginning in the first quarter of 2010 to raise the first $50 Million in funding. We will be launching an enhanced web-site in the next several weeks to provide more details about this exciting development for Colorado's much needed Seed Capital space. If you would like additional information about Velocity Innovation Partners and this new seed fund, feel free to contact me. To those "hardy" members who braved the snow to make it to our downtown Penrose Library Meetup... Thank you. We had close to 30 people on our RSVP initially and was expecting a full room turnout, but just 10+ made it to the meeting ! Hopefully we will not have a "snow-day" repeat in November. (Update: Our meeting in November will be held on Monday the 30th at the East Library at 6PM). We are putting together our speakers now, and will have additional information about the preliminary Seed Capital Fund announcement we made Wednesday night. Like you, I really enjoyed the great night of speakers with Brent Mellow of Mellow Ventures/akaCRM, Kevin Dibble of BombBomb.com, and Debbie Saunders Mignola of ProVaultLaw. The evening started off with strategic as well as tactical insights and ideas from Brent Mellow who provided a number of suggestions for improving your business productivity and increasing the reach and range of your customer interactions using advanced CRM tools. Following the break, Kevin Dibble of BombBomb.com provided an overview of their exciting video e-mail solution they have been developing and beta testing for several months and outlined their investment model for raising capital to help them with an aggressive "go to market" strategy that will assist in launching their services platform and expanding their customer base. Also, it was great to see the progress that Debbie Saunders Mignola has made with her ProVault software as a service application for processing online divorce proceedings and finanical information exchanges between spouses and their legal representatives or as individual prose litigants representing themselves. Debbie has assembled a great technical and business advisory team and introduced her capital needs to the group so we can spread the word about her requirements and see if we can help her out. All in all a great night of entrepreneurial exchanges and networking ! See you next month back at our "home base" at the East Library. October 2009 Meetup is Jam Packed ! Our October 2009 Meetup is shaping up to be a Jam Packed event with three innovative local entrepreneurs speaking, and some exciting announcements about some new funding sources for Colorado Small Businesses that is underway. Your CSE Group is right in the middle of some of these excitng developments. Remember we are meeting at the Penrose Library downtown this month, (Not at the East Library). We will return to our "home-base" at the East Library in November and December to round out our 2009 year ! Looking forward to seeing you this month ! Businesses small and large have the need to plan for their future success. For most companies, the 4th calendar quarter is a great time to assess the results and impact of their operations from the current year and identify plans, strategies and tactics to propel them successfully into the new year. During this presentation, the audience will walk-through a checklist of key initiatives that will help any company get started in their own companies. This presentation will focus on both process and technology as tools to improve results. Brent Mellow is the founder of 6 companies including: akaCRM, Mellow Ventures, Colorado Springs Guide, and Astadia. Mr. Mellow has more than 20 years of experience in sales, marketing, partner management, business finance and technology infrastructure. His passion for CRM systems (constituency or customer relationship management) is manifest in his company akaCRM which is a salesforce.com system integrator and consultancy that helps firm clients improve their results. Prior to akaCRM, Brent was co-founder of Astadia (and its predecessor MW Advisors), where he helped lead the company's rapid expansion in the U.S., Europe and Asia to achieve standing as the largest system integrator for a number of SaaS-based vendors including salesforce.com, Eloqua and Xactly. While at Astadia, Brent served as its President-US, Chief Marketing Officer and had oversight for the product development, IT and legal functions. Brent remains an Astadia shareholder. Brent began his career in the financial services industry where he spent over a decade with a variety of commercial and investment banks and had roles including Senor Vice President and Managing Director in Bank of America's Global Corporate and Investment Banking Group. Following his banking career, Brent was CEO and co-founder of a web-based market research company where he deployed one of the first analytical engines for the high-end furniture industry. Brent was later hired by CompUSA to spin-off its multi-national Call Center Services outsourcing division. Following this successful engagement, Brent became VP/Chief Administrative Officer of the spin off, The Telvista Company, where he deployed salesforce.com as the company's CRM system and later became its VP of Sales & Marketing. The company grew globally to over $100 million with operations in the U.S. and Latin America. Brent holds an MBA from Southern Methodist University and a BBA in Finance from The University of Texas at Austin. Brent currently resides in Colorado Springs, is happily married and has three wonderful children. Mr. Kevin Dibble - CTO, COO - BombBomb, Inc.
BombBomb.com is a Colorado Springs startup company in the business of providing video email marketing tools and solutions. Built on a monthly fee SaaS model, BombBomb is delivering value to its customers by helping them dramatically increase email open rates and click through rates. BombBomb will talk briefly about its business plan and the emerging video email space. Kevin is a technology entrepreneur with 20 years experience involving 5 startup companies. He has an electrical engineering degree from the University of Tulsa and got his start as a software developer. He co-founded Dallas-based startup Efficient Networks in 1993, eventually serving as vice president of engineering overseeing a team of 150 across three business units. Kevin played a key role in the growth of Efficient Networks as they rose to become the worldwide leader in DSL modems and a NASDAQ company in 1999. Most recently, Kevin served as Vice President of Development for Colorado Springs software startup XAware, Inc. In the community Kevin has served on non-profit boards since 1992, most recently as president of Pikes Peak Habitat for Humanity. Ms. Debbie Saunders Mignola, Founder, CEO & Acting Director of Sales & Marketing - ProVault, Inc.
ProVault offers an exciting online technology that revolutionizes the way disclosures are done in the divorce process, eliminating tons of paperwork for people going through a divorce and double data entry, providing immediate and easy access to needed information, reducing the cost of divorce, and helping family law attorneys win more clients. Ms. Saunders Mignola is honored to present ProVault's investment opportunity to Colorado Springs Entrepreneurs Meetup group. Debbie has seven years experience as a software engineer as well as two years experience in startup and direct sales to Family Law professionals. Ms. Mignola brings her strong leadership and sales skills along with her technical background and experience marketing and selling to ProVault's initial and primary target market to ProVault. She started her first company, Divorce Help, two years ago, providing specialized financial reports for people going through a divorce. Ms. Mignola was a Software Engineer III for QAD for six years and graduated from UCLA with a Bachelor of Science Degree in Kinesiology. FLASH: We are meeting in October at the Downtown Penrose Library Location ! "Fourth Quarter Checklist: Getting Ready for the New Year"
We are finalizing our two Entrepreneurial Speakers and will post their bio's and talk descriptions in the next week. Looking forward to seeing you this month at the CSE Group meeting !